Stoney Green - Stoney Knows the Lakes! Whether you are buying or selling, you want the process to go as smoothly as possible. I enjoy making that happen for my customers, and enjoy having my customers become friends. An associate Broker, I have worked from the Brooklyn office of RE/MAX Mid-Michigan since it opened in 2003, a licensed REALTOR® since 1999. Located in the Heart of the Irish Hills, the location is ideal since much of my business is lake property. 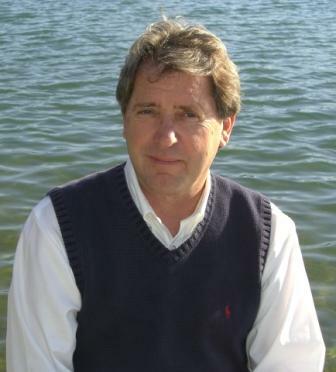 I am a lifelong local waterfront resident with 14 years in the boating industry, giving me an in-depth knowledge of our many lakes and the surrounding Irish Hills area. Interest in protecting that environment, led to my NAR designation of GREEN REALTOR® in 2009. Promoting the lifestyle & natural beauty of the Irish Hills is what I do every day. Working to give back to the community that supports me, I have served on the board of directors for the Brooklyn/Irish Hills Chamber of Commerce; participate in our many local functions and festivities such as Dog Days, Pumpkin Quest and our annual Christmas parade; organize regular fundraisers for our local food bank and Children’s Miracle Network; and contribute a portion of every transaction to CMN in support of our local CMN hospital. Real estate is my career and sold signs speak for themselves, but I don’t take myself too seriously, that’s why you might see me popping popcorn in front of our office or leading a parade in a dog costume. Call me at 517-592-0101. I look forward to putting my integrity and expertise to work for you.